Joseph Bortz, an automotive legend and a collector for over 50 years was proud to receive an invitation from Steve Plaster, the owner of Evergreen Historic Automobiles (a collection of 500 cars) and the American Cancer Society to be the Key Note Speaker at the 3rd Annual Evergreen Event for American Cancer Society on Saturday, May 17, 2014. This event willtake place in front of 250 car club members and licensed automobile dealers in Lebanon, MO. 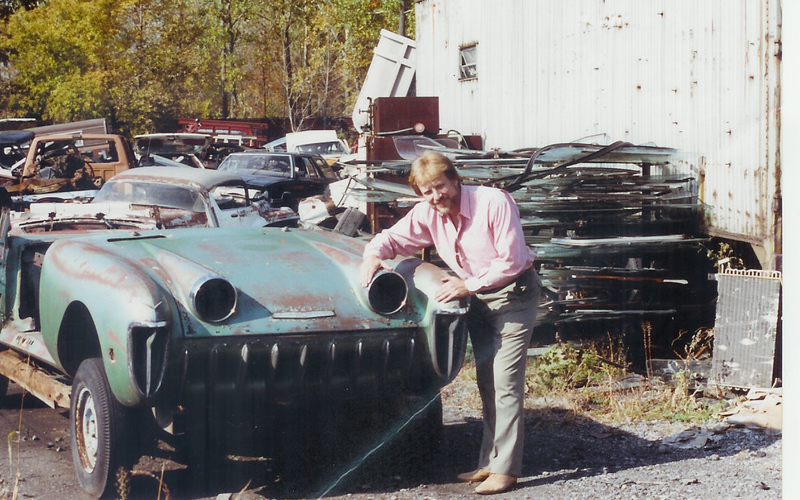 Joe’s presentation will cover his 52 years of automobile collecting from the early 1960s and how it evolved into a famous automotive collection of “concept cars”. The event is sponsored by BK Wealth Advisors LLC and is by invitation only. The annual event raises a great deal of money for the American Cancer Society and brings about a greater awareness of the importance of automotive car collecting. Joe was quoted as saying that, “he not only feels very honored to be able to present a half a century of car collecting to those attending but feels that this show is a tribute to the four members of his family that he lost in the early 1970s to cancer”. One of the Joe’s discussion points will be “The Great Warhoops Find of 1988” in which he found four General Motors Motorama cars at the Warhoops Junkyard in Sterling Heights, MI. This entry was posted in Uncategorized and tagged American Cancer Society, Bortz Auto Collection, Joe Bortz, Revvin' up a cure, The Great Warhoops Find of 1988. Bookmark the permalink.